(10) As we have therefore opportunity, let us do good unto all men, especially unto them who are of the household of faith. Grace be unto you! If there is life, there is hope! Therefore, let us keep the faith in Jesus, never give up the hope of eternal glory, with faith torchlights burning, lighten the world of darkness with tender loving, kindness, sharing and caring. keep the giving torchlights burning, shine upon both rich and poor likewise. During this time of the year, believers prepare to welcome Jesus Christ our Lord and Savior into the world; starting from the shopping list; let us not forget to think of the homeless at the street corners, under the bridges, subway stations, and along our pathways; it is a godly gesture to do good unto all men, for it is more blessed to give than to receive. cf. Acts 20:35; therefore, as we have the opportunity to do so, let us be generous, do good to as many as we can; the hands that give, receive multiple blessings. Beloved, as we give this holiday season, let us not forget the Levites, who are the Levites? they are the godly men and women who serve you and me, daily in the household of God, those who dedicated their lives to Jesus Christ; preaching the gospel, praying, and shepherding the flocks; let's take good care of them, appreciate what they do. Peace and Love be unto you! Amen and Amen! (KJV.) Proverbs 22:9 He that hath a bountiful eye shall be blessed: for he giveth of his bread to the poor. Grace be unto you! Giving is loving, not showmanship! For God so loved the world, that he gave his only begotten Son; if we love one another, it is appropriate for you and me, to give our best to each other; we are in the season of giving, the question is, do we give the best gifts out of love or give anyhow for the sake of giving? a point to ponder on! A few years ago, I worked for a merchandise store, very interesting, isn't? during this time of the year, many came in to buy gifts for loved ones, we rang and wrap up their purchases sent them away, but what do you know? a day after Christmas, some of the gifts were returned for cash, for some reasons, either the recipients don't really like their gifts or just didn't care; at the time, I did not fully understand what was going on with the recipients or the reasons behind the returns; but now, I understand! If they like the gifts, they would've kept them, instead of bringing them back to the store: therefore, as we shop for loved ones this holiday season, let's think about the selection of gifts, never spend quality time and money on unappreciative gifts; another option to think about is the gift cards, we can try that option the same ways as the tangible gifts. A gift is a token of love, it should not be too expensive to points whereby we incurred exuberant debts that might take years to pay off; therefore, before we purchase a gift, ask us a question if someone gives me this type of a gift, would I appreciate it? if not, think about it before purchase, it just might not be appreciated, or return to the merchandise; let us give something meaningfully, cheerfully, purposefully, sentimentally. whether expensive or inexpensive, so long as it was given out of love, that is the reason behind the season; God, gave his best to humanity, Jesus Christ our Lord and Savior; therefore, let us love and give our best to one another. Peace and Love be unto you! Have a Happy Holidays! Amen and Amen! (KJV.) Proverbs 3:28 Say not unto thy neighbour, Go, and come again, and tomorrow I will give; when thou hast it by thee. (20) But he saith unto them, It is I; be not afraid. FEAR NOT, BE IN SPIRIT! Grace be unto you! The man is a spirit, has a soul, feelings, emotions, senses, lives in a mortal body; in the realms of the spirits, the man is more powerful, can swiftly, speedily move within the realms; when in the dreams and visions: at times, we can perceive ourselves, in many different places of the world, either walking, talking, doing one thing or the other, when in actual sense, in the physicalities, we are not capable to maneuver the earth as quickly as we are able to do within the same time frames when in the spirits; therefore, it is better to rely on the spiritual aspects, to settle the physicalitities, in all our endeavors, let us be in spirit, it is easier to overcame obstacles, temptations, set things up in proper perspectives. Since the spirit of the man is powerful, capable of doing what cannot be done physically; we think through things with spiritual mindsets to take physicalities upon ourselves, thinking we don't need Jesus to help us do anything in this world; my friend, the fact is, without him, though we think we can do all things, we can not do a thing: cf. John 15:5; Jesus was with his disciples but departed to the mountains alone, the disciples went on a ship, it was getting dark, Jesus had not returned, the wind became boisterous, fear entered into their hearts, and they rowed harder and harder; fortunately, Jesus showed up walking on the sea towards them; they wondered, is this for real? yes, it was! therefore, today, if there is anyone among us with a troubled spirit; Jesus is right by your side, he never left you alone, believe in him that your troubles are gone with the wind, there is nothing to worry about, rejoice in his righteousness, believe in him that it is well! Even though the disciples saw Jesus performed miracles, yet fear overcame them in the windy storm, and when they saw him walking on the sea towards them; pause! the thing is, all things are under the feet of Jesus Christ, including the windy storm; he assured them of his presence, rebuked the wind, also, the fear out of their hearts; as soon as he entered the ship, immediately, the ship landed on the shores of where they went, what a miracle! Jesus is full miracles, he is doing one for you and me right now without discerning, perceiving it; therefore, let's trust in him. Beloved, if there is anyone among us, who is fearful of anything; fear not! Jesus is with you, be strong in his spirit, might, lean on him, pray, read his word, sing songs of praises, he is in perfect control of our lives: be careful of nothing, love one another! Peace and Love be unto you! Amen and Amen! (1) A soft answer turneth away wrath: but grievous words stir up anger. Grace be unto you! Many times, to offer an apology for wrongful deeds towards others, or what others might have done wrongfully to us, can be a challenging gesture for the man; however, it is important that when offended one should take the initiative to bring matters out for discussion, no matter what happened, did not happen, the man should be the bigger person, to make peace with his or her fellow brethren, never hold grudges, malice, to resent one another, rather give peace a chance to reign supreme in the heart of men, regardless, exercise patience, and continue to love one another. At times, when angry with offenders, the man should control attitudes and behaviors, speak not in vexation, swear hurtfully to the offenders, rather with peaceful and calmness heart, bring thoughts out to the open, when peaceful, the Holy Spirit will take control of what would be discussed, there will be understanding, unity among brethren, love and peace will continue to reign supreme in our lives; therefore, let us learn to control negative emotions, anger, and frustrations when upset with others; with peaceful attributes, love and embrace one another as believers of Jesus Christ our Lord and Savior. Beloved, the Holiday Season is here; let us take time to plan for the things that we need to bring into play before it is too late; never procrastinate for later what we can take care of now, avoid the hustlings and bustlings, pressures of getting things done the last minute, give ourselves adequate times to enjoy the festivities. Let the love of Jesus Christ our Lord and Savior, reign supremely in the man's heart towards one another throughout the Holiday Season! Avoid disharmony! Peace and Love be unto you! Amen and Amen! (KJV.) Ecclesiastes 7:9 Be not hasty in thy spirit to be angry: for anger resteth in the bosom of fools. (18) To open their eyes, and to turn them from darkness to light, and from the power of Satan unto God, that they may receive forgiveness of sins, and inheritance among them which are sanctified by faith that is in me. Grace be unto you! It is important that we live purposeful lives; first of all, the man has gifts and talents embedded within the innermost spirits before birth, to utilize for the kingdom purposes on earth, not to destroy, but to build up a replica of the heavens upon earth; whether the man is born or free, there is a field of specialty, uniqueness within to service the Lord, from carpentry, nursing, engineering, physician, pilot, masonry, plumber, apostles, pastors, and preachers, etc., these are all spiritual giftedness. Secondly, after redemption of the man by the blood of Jesus Christ, sanctified, and empowered by the resurrection power of the Holy Spirit, he receives a duty or responsibility, given in an area of specialty to function within the body of Christ; therefore, the man is not saved to lay back, bury their gifts and talents, but are brought up as shinning examples in the body of Christ; today, if we are not yet utilizing our gifts to the glorification of Jesus, it is not too late to serve him; in the case of Saul, who when saved by Jesus, became Apostle Paul, was called as a minister of the gospel, a witness to testify of the revelations of Christ; (i) to enlighten the eyes of blindfolded souls with the gospel, turn them away from darkness to light; (ii) use the gospel to redeem souls from the power of Satan unto God; (iii) that the saved may receive forgiveness of sins, (iv) be partakers of the inheritance among the faithful believers of Jesus Christ; Apostle Paul had a lot on his plate, but he was faithful, successfully fulfilled his mission; therefore, let us be encouraged not to give up on our callings, no matter what, persevere, forbear all things, finish the assignments, Jesus is our strengths, lean on him! Beloved, the call of Jesus is continuing, today if we hear his voice, let us come unto him, with all our labors, and heavy laden, receive rest for our souls. Peace and Love be unto you! Amen and Amen! (12) Rejoice in the LORD, ye righteous; and give thanks at the remembrance of his holiness. Grace be unto you! Let us rejoice in the LORD! If we are redeemed from the grids of Satan and are under the supreme umbrella protection of Jesus; there is no other powers greater, mightier than his; therefore, we have the cause to rejoice always, count ourselves as the fortunes of this world, worry not about the cares of this world, but rather in all things, give thanks, glorify his holy name; for he is a good God, and his mercies endure forever; while we give thanks, let us not give up on loving one another as ourselves. Remember, how Jesus sacrificed himself, to be beaten, crucified for you and me, rose up again from the dead, qualified all souls with his shed blood, to come unto him, receive salvation, grace, and eternal life? I guess we all do! King David wrote, What shall I render to the LORD for all his benefits towards me? cf. Psalm 116:12; there is no price to pay back for what Jesus did, doing, and will do for humanity; therefore, it is fair enough that we give thanks always, honor him with our lips, sing songs of praises, owe our hearts to him, have faith him, walk in his righteousness into life everlasting. Beloved, giving thanks to the LORD should never be a set-aside festival done once a year around the Turkey dinner table; matter of fact, it should be a believer's daily routine in his righteousness; for the King wrote, "I will bless the LORD at all times, his praise shall continually be in my mouth." cf. Psalm 34:1; therefore, let's think deeply of his victories, healings, protections, goodness, and mercies that never fails, but endures forever. Give thanks! Love and Peace be unto you! Amen and Amen! (KJV.) Proverbs 1:7 The fear of the LORD is the beginning of knowledge: but fools despise wisdom and instruction. (18) In everything give thanks: for this is the will of God in Christ Jesus concerning you. Grace be unto you! Thank you, LORD! To some people, this year is a wonderful, blissful year of testimonies; because Jesus is either doing miraculous things in their lives or has already poured graceful blessings upon them; therefore, there is a justful cause for these individuals to rise up, boldly glorify his Holy Name among others, testify about what he has done; on the other hand, to others, it is a challenging year, because of struggles to wither the storms of life; when in such a circumstance; at times it is difficult to genuinely glorify the name of the LORD among the people who are rejoicing for what the LORD has done for them, if gratidute is expressed at all, it is done with sadness, face and shoulder down attitudes, searched for the proper cannotations to praise the LORD. Today, the Holy Spirit is encouraging the man to give thanks to the LORD; saying, "In everything give thanks, no matter what situations may be, to appreciate life, be grateful, count the blessings, see that it overweighs the predicaments, speak words of appreciation; for the eyes of the LORD are upon the righteous, and his ears are open to their cry. cf. Psalm 34:15; and when praises go up to him, blessings must come down to us; it is our gratefulness, thankfulness, glorification, that will bring the blessings and favors of Jesus Christ upon our lives; therefore, in every situation, let us have faith in Jesus, trust him, be grateful, give thanks to the LORD! It is rightful in his eyes. 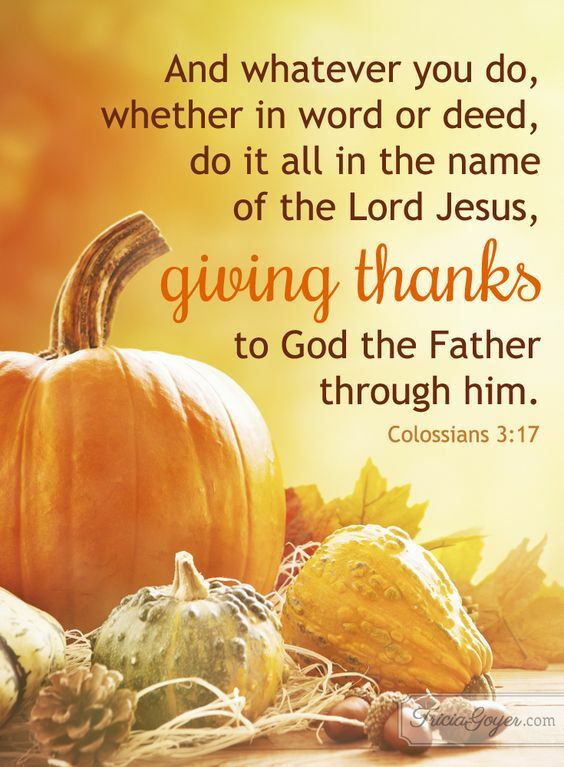 Beloved, regardless of any situation, positive or negative, it is the will of God in Christ Jesus that we give thanks; why give thanks to God for a negative situation? well! because there is always a sunshine behind a dark clouds, what one may view as troubled times, can fit perfectly to the will of Jesus Christ for our lives, no one knows for sure what type of a conversation went on between the enemy of our souls and God the Father concerning our faith in him; but know for sure that, no type of condition remains permanent, it is a storm, and this too shall pass away in due time, give thanks to the LORD always! Love one another, live peaceably with all men! Peace and Love be unto you! Amen and Amen! (KJV.) Psalm 30:4 Sing unto the LORD, O ye saints of his, and give thanks at the remembrance of his holiness. (1) O give thanks unto the LORD; for he is good: because his mercy endureth forever. (2) Let Israel now say, that his mercy endureth forever. (3) Let the house of Aaron now say, that his mercy endureth forever. (4) Let them now that fear the LORD say, that his mercy endureth forever. LET'S GIVE THANKS TO GOD! Grace be unto you! Let us give thanks to God, Jehovah the Almighty, creator of heaven, earth, and the fulness thereof; I am giving thanks to him for his faithfulness, goodness, and mercies that never fails but endures forever. What about you? Ponder on it! Peace and Love be unto you! Amen and Amen! Grace be unto you! Money? can't do without it! It is tangible, an asset, but liquidity; to survive in this world, the man should have a certain degree of money as a survival means of living, paying the bills, buying food, and acquiring riches; the Father also blesses his children with the riches of this world; matter of fact, Jesus at certain time of his ministry, when they arrived at Capernaum, the tax collectors asked Peter, if Jesus pays the tribune or not,.... Jesus asked Peter to go to the sea and cast a hook, take up the fish that first come up, opened up its mouth, there should be a piece of money to take and give to the tax collectors; read Matthew 17: 24-27; therefore, Jesus knows how important it is to have money to take care of business, it is not sinful to have money to enjoy, but never allow greediness to overshadow the glory of Jesus in our lives. To have money to take care of expenses is a blessing; it is the perspectives of how we acquire and handle the money that becomes sinful to the man, in the eyes of Jesus Christ; for the love of money is the root of all evil; though we need the money to survive in this world, let us not allow money to be the major concern in this life; to the point whereby greediness will take control of our lives, lie to ourselves and others, step on big and little toes, cheat, steal, murder souls to acquire riches of this world; especially, when we crave for the money to acquire what other people have, lose sleep over what to do in other to keep up with the Jones, anxieties prevail against our souls. To God be all the glory! A few years ago, Jesus gave me the grace to go on a tour with him to the pits of Hades; beloved, it is not an everlasting place that any souls should dwell, the atmosphere, the smell, the sorrows, screamings, and anguishes of the burning spirits, I am sorry to say, it was a pitiful experience that never evaporated from my spirits; it is only on this earth that the man has the chance to repent, have salvation and eternal life, once we die without accepting Jesus Christ as Lord and Savior, the man might end up in the pits of Hades among the burning spirits: may the Lord forbid!. Also, the burning spirits of unbelievers and some friends that I knew on the earth before were in the pits of Hades as well; one of the spirits called my name to come to his rescue from the fire; but, Jesus said to me, don't pay any attention to him, it is too late for him, Jesus and I continued with the tour; therefore, believers, once we refused to change our ways on earth, sleep in death; Jesus is not a respeter of spirits, grace is over for us; therefore, he bekons us to come unto him now, while still among the living under his grace; if we have not done so yet, let us not take things for granted, listen to his voice, come unto him, have salvation, free grace, and eternal lives. Hell is real! Saints, though we use our strengths to do the will of Jesus on earth, the body of Christ belongs to him; it is the time of purging his body, the eyes of the angels are upon the affairs of the churches; everything going on in the privicies, secrecies of the congregations are open to Jesus Christ, the heavenlies are recording every scenerios around the clock; from the way we treat the people we shepherd, the money we generate in the name of Jesus, but not really for Jesus, disbursement of funds, the unaccountable monkey business, embezzling of funds from the churches, the eyes of Jesus is watching over the affairs of his body, saying to you and me; repent from evil works, to do good works! The times of accountability is at hand, judgment will start from the altar! Peace and Love be unto you! Amen and Amen! (KJV.) Ecclesiastes 10:19 A feast is made for laughter, and wine maketh merry: but money answereth all things. (50) Salt is good: but if the salt have lost his saltness, wherewith will ye season it? Have salt in yourselves, and have peace one with another. Grace be unto you! As believers, lightening the world of darkness, it is a season to shine brightly; in an analogy, we are the salt to season the world as well; Jesus prepares believers to exemplify in him, do what he does; therefore the world expects us to behave ourselves in certain ways, be more loving and caring towards one another, embracing the souls from all walks of life, and living peaceably with everyone. Salt is so good, that without its savouriness, any meat or food is tasteless; therefore, we all need salt for seasoning food; the question is if the salt is tasteless, can it be purposeful? no, it cannot! but to be thrown away; therefore, as lights of the world, let us replenish our lamps every day with fresh anointing oils, read the word and pray for self and others, that our lights should shine, affect positive changes within our neighborhoods, vicinities into the world of darkness; what we can not do to change the world physically, the Holy Spirit helps us accomplish through prayers. It is Christlike, that we live selfless lives, consider others before ourselves, for instance, we are all at certain time, may be guilty of this attitude; when waiting in front of an elevator door, we remain attentive that when the door opens up, we will be the first to step into it; eventually, when the door opens up, we see ourselves strive with others to step inside first; whereas, we might calmly step aside for others to step in before us; in the past years, we heard the news, of how people strived into shopping malls on black friday, busted in, fought for deals, at times, this behavior turned very roughed, toughen to handle, end up deadly; should this be so? should we put our lives and lives of others in jeopardies just to save few dollars on merchandise? let us ponder on these things! Beloved, isn't it respectful when we exemplify Christ among others, where there are strives and animosities? Sure is! the impact of our positive behavioral attitudes illuminates the hearts of the striving souls, calm down their negative attitudes because we refuse to engage in their strivings; therefore, this holiday shopping season, let us be Christlike, in all our ways, as tasteful, savoury, seasoning salt, season, lighten, affect positive changes in the world of darkness: ye are lights of the world; illuminate! Peace and Love be unto you! Amen and Amen! Grace be unto you! Oh, what a lustfully world! But the man has to deal with it; should we hide in bubbles to avoid distractions? not really! the temptations are visible to us at all times, therefore, what we need to do is, to be in spirit in other to exercise self-control, suppress the lustful desires; cf. I John 2:16 the moment we take our eyes off the giver, go above and beyond to acquire more than necessary, that is when sin prevails against a soul; for example, when the children of Israel were in the wilderness, led by Moses, the LORD rained manna to eat; the instruction was not to collect more than needed to have left overs, except on the day before Sabbath; yet some people disobeyed instructions, collected more than needed per day, until they found out the next morning that what they horded bred worms, stank before they followed the instructions; cf. Exodus 16:1-30; you see! anything in excess if not shared with others becomes a liability or a disadvantage. For instance, the man needs to consume oil, sugar, salt, etc., as nutrients for them, if we are not careful to control appetites, apportion the right quantities to consume into our bodies, the same positive nutrients can generate health hazards for the man; anything at all hoarded in this world, can effect negative consequences to the hoarder: at certain time, Jesus said unto the publicans, "Exact no more than that which is appointed you." cf. Luke 3:13; it is nice to have all the riches of this world, but be Christ-centered, focusing on eternity; be motivated to share with others who are unfortunate to have more than what we have received from Jesus, never horde anything that will perish with the wind someday, if there's no need for it, give to others, be justified to receive more blessings. Beloved, let us be more concern about how we view the things of this world, they are meant for enjoyment only, once we sleep in death, who knows what will happen to our hard-earned riches? the things that are forever are things of the spirits, therefore, appreciate and enjoy the blessings with higher expectations that someday, we will continue to enjoy ourselves in eternity with Christ; work the works, be content with the wages, never strive with others to chase after the empty air; King Solomon the Preacher wrote, Vanity of vanities, said the preacher, is all vanity. cf. Eccles. 1; therefore, seek first the kingdom of God, his righteousness, all other things shall be ours to keep. cf. Matthew 6:33. Peace and Love be with you! Amen and Amen! (KJV.) Eccl. 6:2 A man to whom God hath given riches, wealth, and honour so that he wanteth nothing for his soul of all that he desireth, yet God giveth him not power to eat thereof, but a stranger eateth it: this is vanity, and it is an evil disease. Grace be unto you! God is love! He so loved the world that he gave his only begotten Son, that whosoever believeth in him should not perish but have everlasting life. cf. John 3:16; God, loved the man he created; therefore love is for keeps, if we love, cherish something, we keep, protect, and give our all to sustain it; that he gave his only begotten Son; God displayed his love by his actions, therefore, love is selfless, not selfish, if we love someone, we go above and beyond to display love by gestures to please that individual, whosoever believeth in him should not perish; there is always a cause and an effect, God did not just give his only begotten Son, but he gave, in other that the man who believes in him, should not perish in damnation but have everlasting life; therefore, the only way to show a genuine love is, to sacrifice ourselves to one another, care for the needs of others, uplift the downcasting souls with prayers and words of encouragements; we are in the love of God with Jesus Christ together; therefore, let us lean on one another's bosom of love, with tender loving kindness into everlasting life: trusting in Jesus Christ as the Lord and Savior of the world, he is the only way to Salvation, Grace, the Father and Eternal life. Therefore, my dear brothers and sisters, if God so loved us, let us also love one another, not in words alone, but show love, how much we care about others; the season of giving is upon us; let us remember to include the poor and needy, the homeless, widow/widowers on the shopping list, do something to surprise someone, besides love ones, put a smile on the face of a stranger, someone who is not expecting anything from us, be kind, show agape love towards one another, know for sure that, there are more blessings to come than the givings: Jesus is faithful to givers, be in unity, love and live peaceably with all men! Peace and Love be unto you! Amen and Amen! (KJV.) Proverbs 28:27 He that giveth unto the poor shall not lack: but he that hideth his eyes shall have many a curse. (5) Casting down imaginations, and every high thing that exalteth itself against the knowledge of God, and bringing into captivity every thought to the obedience of Christ. Grace be unto you! Oh' what a mindset mechanism! The brain cells, which holds every thought of the man; whether good or evil thought, it enters into the mindset mechanism, process through the cells, forwarding the procedures into the heart of the man for consequence; every second of our lives, there is a thought which flows through the thought processes of the man; therefore, we need to discern our thoughts, ponder on what enters into our mindsets, discern the voice to know if the words are from the holy spirit or demonic infiltration spirits, before we filter through the heart to take necessary gestures. Consequently, whether the man is asleep or awake, minds are bombarded with thoughts, visions, dreams, never a dull moment where the mind is free from thoughts or imaginations; therefore, let us cultivate the habits of filtering our thoughts, to cast away the evil; we have all at a certain point of our lives, made mistakes that could be avoided if we took the time to ponder on thoughts, seek the counsels of the holy spirit to make the right decisions: therefore, let us pray to cast down evil thoughts, imaginations, hinderances, obstacles, overcome and walk in the victory of our Lord and Savior Jesus Christ. Beloved, as believers, let us be attentive to the voice of the holy spirit, whenever a thought enters into our minds, filter the words through the holy spirit, ask few questions; for example, "if I follow through with these words, what will be the forthcoming consequences?" think about every action to take with the Christlike attitude; if a thought is evil, do not take action, rebuke away in the name of Jesus! Walk in Victory! Peace and Love be unto you! Amen and Amen! (KJV.) Proverbs 16:3 Commit thy works unto the LORD, and thy thoughts shall be established. (10) Whatsoever thy hand findeth to do, do it with thy might; for there is no work, nor device, nor knowledge, nor wisdom, in the grave, whither thou goest. GOD IS SERVING THE MAN HE CREATED! Grace be unto you! There is one mystery of the spirits, that the inquiry minds want to know, and that is, how come, whenever the man calls the name of Jesus for deliverance, whether the man is bond or free, saved or unsaved, Jesus shows up immediately to their rescue? Let us ponder on it! From the foundation of the world, God has been serving the man till present times, the man really does not do anything for God than depend on him for themselves; initially, it was not the plan of God that the man should support themselvs, but to love, have a relationship with him, enjoy what he already provided for them to enjoy; God fix things in such a way that the earth was watered by a mist from the earth, he gave the man everything to enjoy on earth, without labor; after the fall of Adam and Eve, the man was cursed to till the ground for sustenance, cf. Genesis 3; that is when the man started to worry about survival, which led to greed, lust, envy, hatred, strives; despite all, the man still depends upon God for sustenance, till present times, the man still call upon God, for welfares; the fact is, God is the source of Providence for the man he created, with his goodness and mercies that never fails but endures forever, consequently, what does the man do for God's love? Jesus came to the earth, saw what was going on with the man God created, after he suffered on behalf of the man, crucified, resurrected, and ascended into heaven, seated on the right hand of the Father, he reported back to the Father the deed of the earth and what was going on with the man; by revelation, the Father said to his son, Jesus, "I put you in charge of the affairs of both the heavens and the earth; you have experienced both realms"; Jesus took over the responsibilities to take care of the affairs of the man on earth, and the affairs of the holyfolds in heaven; though the man still calls on God, the Father for help, all petitions have to be chanelled through the name of Jesus, the advocate, Lord and Savior of man, by his blood grace; therefore, let us also serve one another in this world, exemplify ourselves in what Jesus is doing, be our brothers keepers. Beloved, what is required of the man? the man has to reciprocate, serve one another, as Jesus serves the man, do likewise, share wisdom, knowledge, understandings with others; let's think of things in right perspectives, every soul is given a special talent, to affect positive changes in this world, whether a soul is learned or not, there is a gift within their innermost spirits to share with the world; therefore, there are no souls that are dumb or stupid in this world, every soul has their own gifts and specialities; when we sleep in death our ideas, gifts and talents perishes with the wind, however, before the throne of judgment, we will account for the gifts; therefore, let us work the works, share our thoughts, gifts and talents with others, it is worth our time on earth, and to receive the eternal blessings of Jesus Christ our Lord and Savior. Peace and Love be unto you! Amen and Amen! Grace be unto you! The word, the word, is the root of all our undertakings, in the beginning, was the Word, and the Word was with God, and the Word was God. cf. John 1:1; the fact is nothing can be achieved in this world, without the word, Jesus Christ; he the word within our innermost spirits, speak the word, it shall stand! however, let us mind our words; words are powerful than we think of it to be, it will manifest. There are two spiritual channels where words flow into our thought processes; the number one channel is, of the Holy Spirit; while the number two channel is, of the demonic infiltrations spirits; therefore, before we utter thoughts openly, let us think through our thoughts, to make sure that we are in tuned with the Holy Spirit, not with the infiltration spirits, to utter unwise connotations; if we replenish innermost spirits with the word, the holy spirit will reign supreme in our heart, there will be no room for evil thoughts of the infiltration spirits to infiltrate our hearts into temptations, for out of the hearts are the issues of life; therefore, let us guard against our hearts with the promises of Jesus Christ, his words. Once our minds are in tune with the Holy Spirit, the river of peace from God will flow abundantly into our hearts, in all circumstances, we will remain calm, peaceful, in control of our emotions, state of minds, peace will reflect upon everything around us, we will be thankful to Jesus Christ for his love, strengths, and grace. Beloved, peace, peace be still; be thankful, it is well! Let us unite in love, in the bound of peace, be concern about what is going on in this world, pray for peace, the welfare of the body of Christ, for one another, with the heartfelt of gratitudes. Peace and Love be unto you! Amen and Amen! (KJV.) Proverbs 11:12 He that is void of wisdom despiseth his neighbor: but a man of understanding holdeth his peace. Grace be unto you! Jesus is the light of the world, in him, there is no darkness, if we dwell in him, darkness cannot overshadow his light, we walk in his righteousness to live everlasting: knowingly or unknowingly, there are spiritual realms beyond this physical world; the realms of spirits, dwells the angelic beings and the demonic entities. To envision the realms of spirits from our world, the kingdom of darkness is closer to the earth than the kingdom of heaven; consequently, the realms of darkness, the principalities, and powers in higher places is closer to the earth than the realms of light, with God the Father, his son Jesus Christ, the saints, the holy angels; unfortunately for the world, the demonic entities are closer to the humans, have the opportunity to devise evil, perceive, monitor the affairs of souls, setting up traps for failures, infiltrating minds with deceptions, trouble souls with fears and anxieties, alluring them to damnation: beware, never fear no evil, overcome evil with the scriptures, stand strong in the power of Jesus! The question is, what can we do to protect ourselves? Let us put on the whole armour of God, in other to be able to withstand against the deceptions, craftiness of the enemy of our souls; every day of our lives, we are at the battlefront with infiltrations spirits, their goal is to take control of our mindsets, use us against ourselves and others; therefore, we need to be spiritually prepared for this battle at all times, knowing that no one goes to warfare with fancy clothes, we need to wear a helmet of salvation, guard our brains, mindsets from infiltration spirits, having on the breastplate of righteousness, discerning the truth of the gospel, from the lies of the enemy, walk in the word, eat the bread of life, drink from the wells of anointing powers of the Holy Spirit, take in the seeds of the good news of peace, when confronted by the enemy, rebuke him with the scriptures, same way Jesus did during his temptations by the devil in the wilderness, having the shield of faith to wither the storms of life when being tested by the enemy, the sword of spirit, which is the word of God, prayers, and supplications in the spirit, with perseverance, and praying for others as well. cf. Ephesians 6:11-18 for further studies: as armorbearers, let us bear the armor of Jesus Christ! Beloved, whether we like it or not, we are in the perilous times; no one knows for sure what the enemy's plans are to trouble the world momentarily; therefore, let us live in the righteousness of Jesus Christ, equipped ourselves with his words, loving and caring for one another, knowing that we belong to him and not the enemy of our souls, with Jesus, there is nothing to fear in this world, no weapon formed against us shall prosper, we are more than conquerors of Jesus, stand strong in his might! Peace and Love be unto you! Amen and Amen! (24) But woe unto you that are rich! for ye have received your consolation. Grace be unto you! Jesus encourages his followers not be troubled rather believes in him, that there are mansions prepared for them in heavenly places, that he will come back again to bring them unto himself, cf. John 14:1-3; this is a true statement, being fulfilled momentarily for those who qualified to enter into the kingdom of heaven; souls who have had near-death experiences, been with Jesus in heavenly places do testify to this effect, that truly, there are mansions above prepared for the spirits of righteousness; therefore, believers may struggle through hardships, trials and tribulations in this world, their lives are not over yet, there is still hope of eternal glory in heavenly places: a believer in Jesus Christ is still a winner of any battle at the end of their days! Most importantly, believers are encouraged to seek first the kingdom of God, his righteousness and all these things shall be added to them. cf. Matthew 6:33; this is the matter of preferences, the choices we make in this world that determines the outcome of our future inheritances; if we set our minds on the things above, do the will of Jesus, both earthly and heavenly blessings shall be ours; on the other hand, if we set our mindsets on the things of this world only, gain and enjoy the riches to fullest, someday when we get to heaven, we will miss out on the heavenly blessings and enjoyments from Jesus Christ; because we've already had it all on the earth, there is nothing new to excite our spirits. Beloved, don't get me wrong, it is good to have the riches of this world, and to enjoy ourselves on earth; King Solomon was blessed with abundance of riches, but later on in his life, he wrote, it is all vanity and vexation of spirits; therefore, when we receive the blessings of Jesus Christ, let us utilize some of the blessings to the benefit of others as well, share with the poor and needy, love, care, show mercy, kindness to souls in wanting situations, that when we get to heaven someday, heavenly books of records will show that we lived our lives in his righteousness. Peace and Love be unto you! Amen and Amen! (KJV.) Proverbs 18:24 A man that hath friends must shew himself friendly: and there is a friend that sticketh closer than a brother. (16) And other sheep I have, which are not of this fold: them also I must bring, and they shall hear my voice, and there shall be one fold and one shepherd. Grace be unto you! Harken to the shepherd's voice all ye the sheep of his pastures! Come unto the pathway of salvation, free grace, joy, the hope of the second coming of Jesus, and everlasting life. 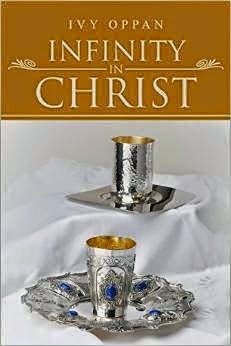 As servants of the vineyard of glory, the season of the ingathering of souls is upon us; we have to endeavor to bring along the souls from other faith establishments, who are not Christ believers, under the body of Christ, the ministry of Jesus Christ, the shepherd of all shepherds, with one God, the Father of all fathers; how?, it looks difficult to perceive, but not hard at all to tackle, for it concerns Jesus, anything concerning him is not difficult at all, because it is already done; we are empowered by the Holy Spirit as instruments to successfully accomplish the task before us; let's ponder together! First of all, the thought of how to accomplish the task seems unbearable, difficult to handle, yet it is not that difficult to tackle; why? because we are chosen vessels of the good news, within our hearts dwells the resurrection power of the holy spirit, he does the work, and not ourselves; what is required of you and I, is to yield our hearts to the Holy Spirit, allowing him to manifest his glory through us, accomplish his purposes throughout the world; we just need to obey his voice, do as he pleases, showing love and kindness to others. Secondly, through the spirits, Jesus himself is reaching out to the souls, beckoning them to come unto him; the parts believers have to play is to lounge out into the darkness of this world, preach the gospel, the Holy Spirit will anoint the hearts to receive Christ; Jesus gave the ingathering to all believers to accomplish, with unity in the bond of peace, love, persevering, forbearing, it is done! Saints, let us work for the purification of our souls; the task of the ingathering of all souls to Christ is upon you and me in this generation; what is the strategy to bring them in? Peace and Love be unto you! Amen and Amen! (KJV.) Proverbs 4:26 Ponder the path of thy feet, and let all thy ways be established. MY PROFOUND SYMPATHY GOES TO THE FAMILIES OF THE FALLEN SAINTS OF TEXAS! 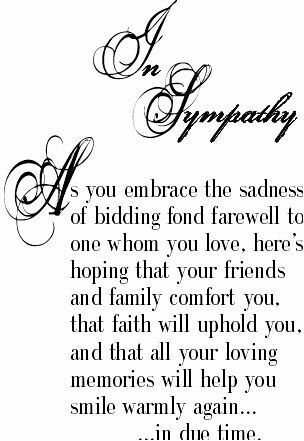 MAY THE DEPARTED SPIRITS REST IN PERFECT PEACE! Grace be unto you! The Psalmist wrote, Serve the LORD with joy and gladness: come before his presence with singing. cf. Psalm 100:2; therefore, when we decide to serve Jesus, let us do so wholeheartedly, with joyfulness of the heart, without grumbling or complains; have the mindset of kingdom inheritance, know that whatever we do for Jesus, is never done in vain; the holy folds, are weighing our works, motives, be ye good works for Christ or self-aggrandizement; someday, we will reap the fruit of our labors, if we faint not. Many times we profess the name of Jesus, hear his words; all that is taken into consideration as believers, however, what does Christ really requires from believers? He requires you and me to be doers of his words, and not hears alone; if we hear his words, take the seeds into our hearts, never nourish, allow it to grow into maturity, bear fruits, what good will that does to others, Jesus requires us to be doers of his words, his words are lively words, if we take in seeds of love, love one another, if mercies, be merciful towards others, if forgiveness, forgive offenders, and the list goes on, and on; let us do the will of Jesus Christ with rightful mindsets, knowing that it is about him, not about us, and it is worth our time on earth as sojourners! Beloved, let us not go with the flow, do what we see others do in this world; as we serve the Lord, find out what he requires us to do, and do the right thing, never assume anything when it comes to spiritual matters, or cover-up the truthfulness of matters, mislead a soul to hurt or damnation, be true believers, walking in faith, in the righteousness of our Lord and Savior Jesus Christ; that at the end of our lives, we may be counted worthy before the throne of judgment to inherit eternal lives; therefore, let thy will be done on earth, O LORD! Peace and Love be unto you! Amen and Amen! (KJV.) Ecclesiastes 3:14 I know that whatsoever God doeth, it shall be forever; nothing can be put to it, nor anything taken from it: and God doeth it, that men should fear before him. (16) Ye have not chosen me, but I have chosen you, and ordained you, that ye should go and bring forth fruit, and that your fruit should remain; that whatsoever ye shall ask of the Father in my name, he may give it you. Grace be unto you! There is nothing a believer can do for Christ, without Christ; To whom God would make known what is the riches of the glory of this mystery among the Gentiles, which is Christ in us the hope of glory. Colossians 1:27; let us ponder on the following clause; "Christ in us the hope of glory. "; therefore, it is Christ in us, that gives us the spiritual energies, faiths, and strengths, to persevere, forbear, live godly lives, bear fruits with his love, through the resurrection power of the Holy Spirit; he said, "I am the vine, ye are the branches: He that abideth in me, and I in him, the same bringeth forth much fruit: for without me ye can do nothing. John 15:5; this is a true statement, therefore, let us dwell in Christ by reading, hearing and doing his words, that our fruits may remain in him, to show its vibrant colors for eyes to perceive our good works and give Jesus all the glory! Christ is the vine, we are the branches of the vine, he choose us, we did not choose ourselves to focus on personal agendas, things of this world more than we pay attention to him, do his will, he commanded you and I, to bear fruits as the branches from him, the vine, with the gifts and talents allocated in our innermost spirits, spread the gospel to others, love, show mercy, care for people of this world, in other to have tangible evidence to show, account for our good works on the day of judgment, receive his eternal rewards; therefore, let us set our eyes on the things above and not on worldly vanities that corrode, tarnishes, vanishes with the winds. Beloved, if we do the will of Jesus Christ, whatever we ask the Father in his name shall be done! There is nothing that can overshadow his glory upon our lives, when enemies rise up, he will fight battles, heal afflictions, protect lives, we are more than conquerors, family members will benefit from our faith in his righteousness, we are blessed of the Lord forever and evermore: Peace and Love be unto you! Amen and Amen! (KJV.) Songs of Solomon 4:16; Awake, O north wind; and come, thou south; blow upon my garden, that the spices thereof may flow out. Let my beloved come into his garden, and eat his pleasant fruits. Grace be unto you! The parable of the wedding feast is an analogy to the story of the end times; Jesus commands each and every believer to go to the highways, street corners, neighborhoods, spread the gospel to all nations, the bread of life, bring along as many souls as possible to eternal life. A certain king made a marriage for his son, sent to the guests to the feast but they will not come, whoo! The bell rang for souls to come to life everlasting, but no one paid attention to the noise of salvation; then the king sent another group of people, explained to them the delicacies available to enjoy, yet, no one paid attention, mocked at them, went away on with their business; some of the rebels fought and killed the king's servants; isn't that something? Free grace is available through Christ, yet some people don't care for it, continue to walk in darkness; there are missionaries on an assignments to spread the gospel into the primitive remote areas of the world who were killed for righteousness sakes; therefore, the king Jesus Christ will come, with vengeance of fury, with angels to destroy the murderers and burnt up their cities; that is what will happen to the enemies of righteousness. Finally, the king said to his servants, the feast is ready, the guests are not ready, therefore, go into the highways, and as many as ye shall find, bid them to the marriage, therefore salvation in Christ is being offered to all nations free of charge, let's take advantage of it; if we hear the biddings of shepherd of all shepherds to come to him, yet contemplating, not quite sure of our decisions, let us not turn deaf ears upon his invitations, take the necessary steps, have salvation, free grace, joy, hope and eternal life. To conclude the parable, the servants went into the highways again, brought in as many people as possible to the great feast including the poor: Jesus introduced the kingdom message to the Jews, but they rejected him and his words; before he ascended into heaven, he commanded his disciples to go into the world, preach the gospel to every creature. Mark 16:15; today, the gospel is being preached all over the world; everywhere, from the pulpits, living rooms, over the internet, the radios, pads, cell phones, throughout the world converting souls to Christ; therefore it does not matter who we are in this world, nationalities, races or genders, salvation is free for all souls! Let us come to Christ, join him in the feast before it is too late? Saints, time and times are upon us, we have a more challenging task upon our plates to tackle than before, strategies are changing from heaven on how to relate the kingdom message to save the remnants before it's too late, today, Jesus requires you and me to know that our callings are purposeful to fulfill for his glory, it is not about us, but about souls; therefore, it's time to lay down our differences, focus on what matters to Jesus, do what is required, finish the course with flying rainbow colors of victories and accomplishments in Jesus. Peace and Love be unto you! Amen and Amen! (16) Let us, therefore, come boldly unto the throne of grace, that we may obtain mercy, and find grace to help in time of need. Grace be unto you! Once we accept Jesus into our hearts as Lord and Savior, automatically, we receive abundance of his grace through faith; enjoy the same privileges as sons and daughters of God; many times believers are not fully aware of the blessings made available for them in Jesus; for the enemy of our souls, blindfolds, spiritually partitions believers, not to discern or perceive the grace that is made available to them through Jesus Christ; wickedly, he takes delight in watching the believers suffer for the things which are already within their jurisdictions; today, may the Holy Spirit enlighten blindfolded eyes to perceive the truthfulness of matters, that we are blessed and highly favored in Jesus Christ, no buts or ifs; and be awaken in the spirits, with faith, approach the throne of grace in the time of need, to embrace his goodness and mercies that never fails but are renewed every morning by his grace. Grace and Mercy; Grace in biblical sense is an unmerited favor of God, no one deserves it, nor worked in other to attain grace; from creation of Adam and Eve in the garden of Eden, the grace of God was made available to them, all things created was given to them to enjoy by grace; after they disobeyed the words of God, ate the forbidden fruit, they fell from grace, lost the free favor of God's grace, he did not destroy their lives, rather curse them out of the garden, they still enjoy his grace to live on earth; when Cain killed Abel his brother because of jealousy, God did not destroy his life but marked him that the avenger of blood should not destroy his life, cf. Gen. 4:15; that was also his grace. When Jesus came to earth died and paid for iniquities, rose again from the death, free grace was offered to all those who will accept him into their hearts and Lord and Savior; the initial grace was with consequences, while the latter grace of Jesus Christ is without consequences; where there is grace, there is mercy as well, mercy is the compassionate attribute of Jesus Christ; therefore, no matter what our past, present behaviors may be, should we call upon him in times of troubles, his bowels yearn after our souls, to rescue us from our predicaments; let us love one another as ourselves by his grace. Beloved, all things are possible with Jesus; therefore, let us trust in him, in all things, stand firmly on his rock of ages, wavering not, tossing to and fro, like a fiery whirlwind of torment; rather when in doubt, pray, praise, glorify Jesus; though the enemy may attack faith foundations with his fiery darts, weapons of warfare, shake souls rigidly torment their spirits, it's all scare tactics, to loosen their faith foundations, cast them away from their inheritances in Jesus Christ; let us not allow his tricks or treats, hinder us from the throne of grace, to receive the goodness and mercies of Jesus Christ, be encouraged to hold heads up higher in boldness and in braveness in him, we are more than conquerors, receive ye the grace of Jesus! Peace and Love be unto you! Amen and Amen!